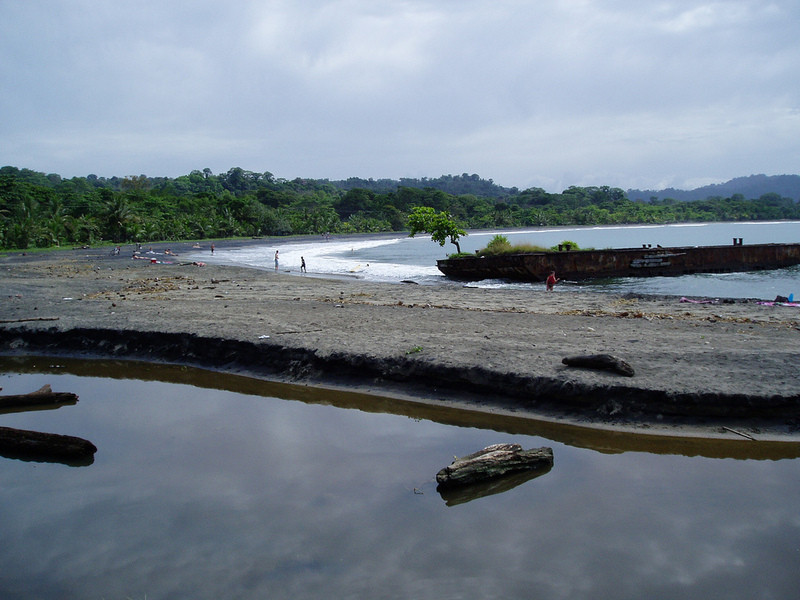 If there is any tourist spot in Costa Rica that can honestly be said to have something for everyone, that place must surely be Puerto Viejo de Talamanca. Known simply as Puerto Viejo by the residents, it is quickly developing a reputation among the world’s surfers as a must place to visit for the celebrated Salsa Brava waves, the strongest in the country. But there is more to Puerto Viejo than the surfing. The town is also home to the Punta Uva and Playa Chiquita, which are among Costa Rica’s most spectacular beaches, where visitors can go swimming, diving or snorkeling. And nearby Manzanillo is a popular spot for kayakers. Guests who prefer to stay on land can enjoy the town’s vibrant nightlife, as it has many discos, bars and restaurants, or take advantage of its numerous shops to buy hand-crafted souvenirs. Eco-tourists can take day trips from the town to the nearby Gandoca Manzanillo Wildlife Refuge or Cahuita National Park. Or you can simply explore the area on horseback or mountain bike. But what really makes Puerto Viejo special is its local culture, which is a melting pot of influences from the indigenous Bribri to Latino and Afro-Caribbean, making it a unique blend you won’t experience anywhere else in Costa Rica. The friendly residents are a mixture of native Costa Ricans (Ticos and Ticas), a considerable Jamaican community and expatriate Europeans who have made the town their home. With its distinct charm, wide range of attractions and great natural beauty, you’ll surely find whatever you’re looking for if you take your vacation in Puerto Viejo.